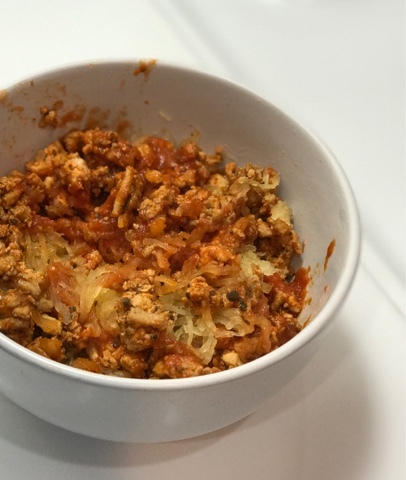 Fit Fluential Mom: Low Carb &a Gluten Free "Spaghetti"
4. Take the squash out, slice it in half, take out the guts like you would a pumpkin when carving it. If you buy your sauce preñase, look for the cleanest variety, lowest in sugar with only basic spices and ingredients you can pronounce!